Looking for an easy yet decadent dish that will wow your family and friends? Look know further. If you have more mouths to feed, you will need to double the sauce mixture. In an effort to keep the skin of the chicken crispy, and speed up the cooking process, instead of putting the chicken into the oven in the skillet, why not put the chicken on a separate baking sheet for the remainder of its cook time. 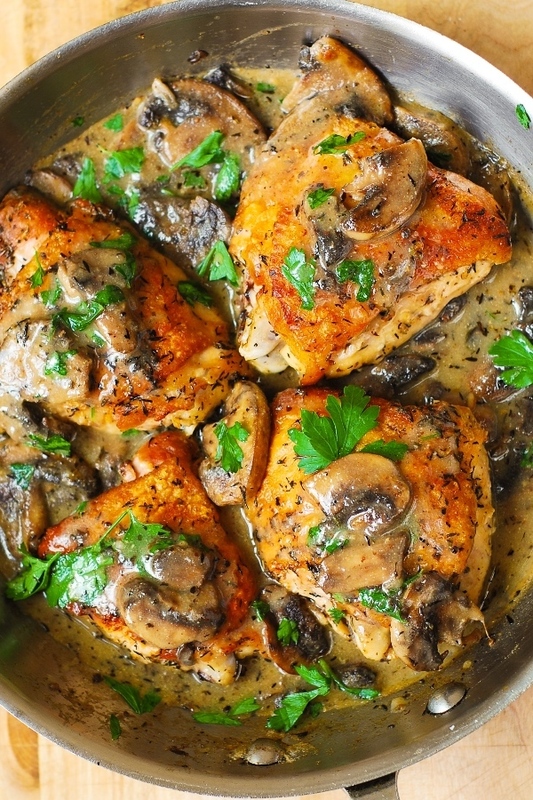 This will give you time to prep the creamy mushroom and herb sauce at the same time! We can thank the folks over at Better Homes and Gardens for this delicious recipe!